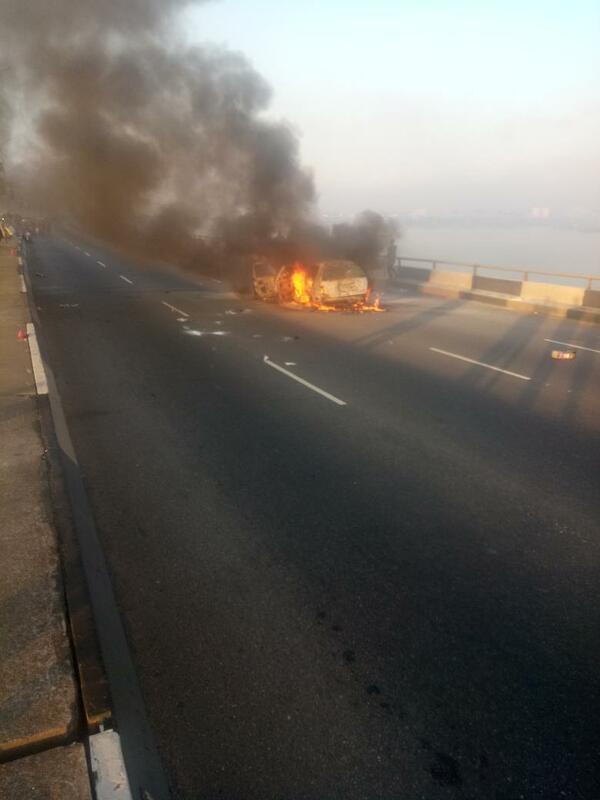 A minivan caught fire on the Third Mainland Bridge in Lagos on Wednesday leading to traffic build up on the bridge. 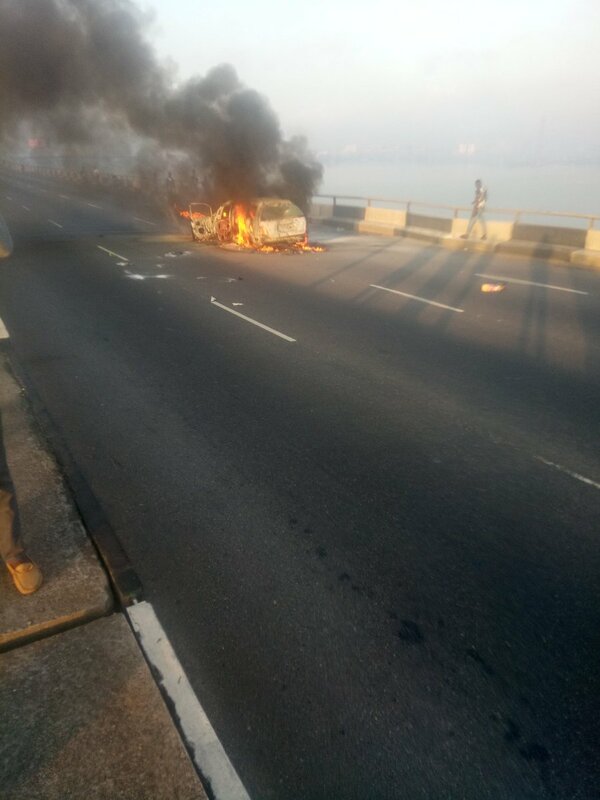 According to the Lagos State Emergency Management Agency Response Unit Twitter handle, @lasemasocial, the fire started early Wednesday at the Adekunle axis of the bridge. 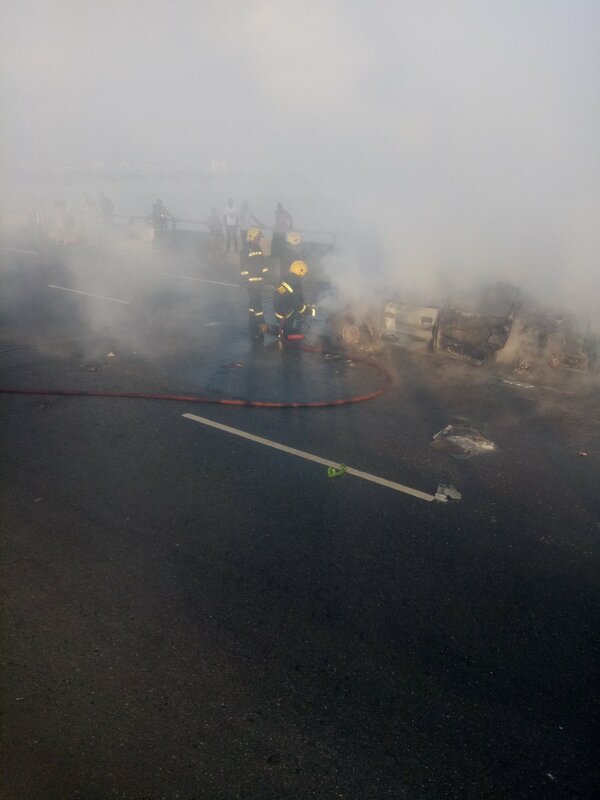 An eyewitness on Twitter, Pope Piano @yeankhar shared photos of the fire, before and after emergency services arrived.